Many people lust after AGAs longing to have one of their very own – the crowning glory in their kitchen. However, there are a lot of people who are dubious of AGAs; they think that they cost too much money, they’re difficult to use, and they’re only really for big country homes. A lot of people think that AGAs are only really worth getting because they look so much more attractive than the average cooker. However, this is far from the case. Because the heat from an AGA is radiant heat, it is much more difficult to burn stuff and dry things out that it is with a conventional cooker. So, if you aren’t exactly the bets cook in the world. 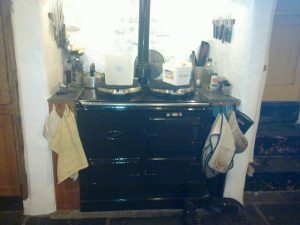 You should find that an AGA is quite forgiving and you’ll be seen as a much better cook for having one. Unlike older AGAs, new generation AGAs don’t have to be totally left on all the time – you can switch various compartments off at various times – but even when they are just left on the lowest possible setting to keep the oven going, they generate a remarkable amount of heat. That’s why people who worry about the cost of home heating oil when they have an AGA shouldn’t be so worried – AGAs provide a warmth all of their own, which means you can use less of whatever other heating sources you’re using. They’re actually pretty efficient things. AGAs are big and not only do they feature both an oven for baking and an oven for roasting, but they also have plates for simmering and boiling. Not only does that mean you can cook lots of things at the same time, but you can also dispense with a lot of other kitchen gadgets from the toaster to the rice cooker and have no problem cooking your favourite dishes. 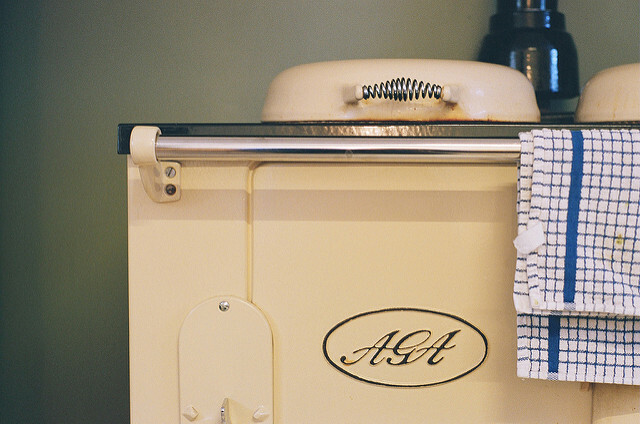 You can expect the average AGA to look just as good in 35-40 years as it does on the day you bought it with just a little TLC, that’s because they are made from strong cast iron and enamel rather than chrome and plastic like so many cookers are now. That means that you could save a lot of money over the years by investing in a beautiful AGA rather than a lesser cooker that probably won’t even last you ten years – it makes total sense. Okay, so you might not want to fork out a fortune just for a cooker that looks good, but there’s no denying that AGAs, which can be purchased in a vast array of colours, with their cosy country style, are quite beautiful, and combined with all the other benefits of the AGA, it makes them a pretty good choice. Do you have an AGA? What are the biggest benefits for you? It’s beginning to look a lot like Christmas; you can tell by my bank balance!